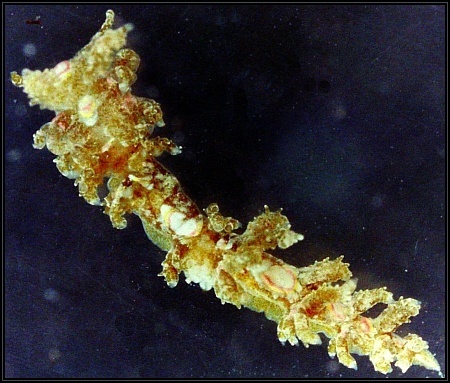 Small aeolid found in shallow water amongst algae generally rich in hydroids. 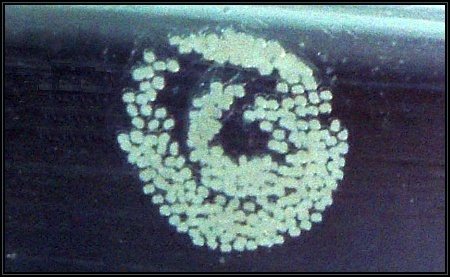 The base colour is greenish at least 3 well separated circular patterns consisting of an outer yellow ring, an intermediate red ring and an inner whitish circle. Oral tentacles: 2 in number, straight, with white pigmentation. Cerata: In pairs, papillate and very irregular in size. Foot: Colourless with greenish spots. 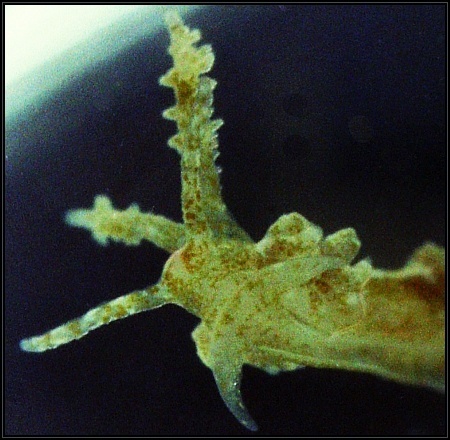 distinguish from related species by its colouration, rhinophore and ceratal shape.